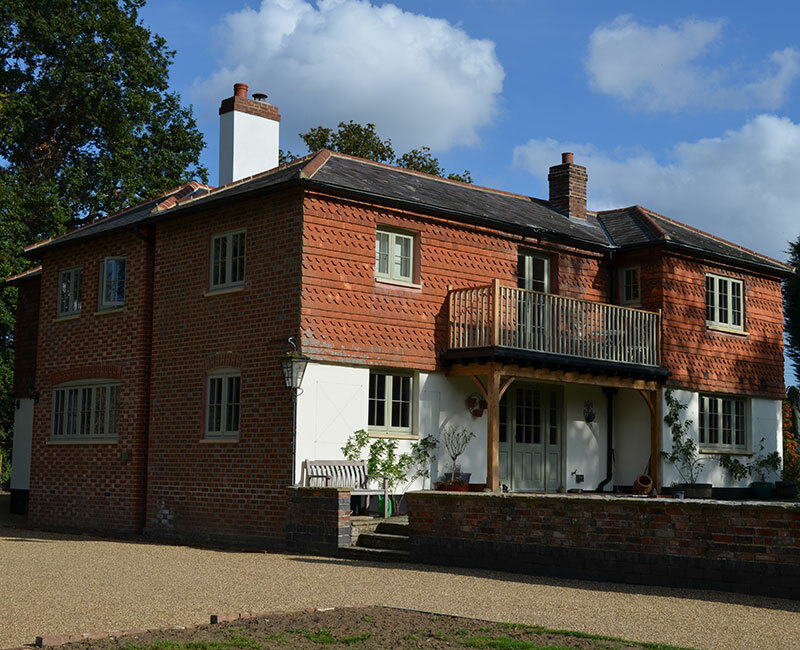 Situated in an extremely picturesque location just outside Dorking in the valley below the North Downs the house was in a beautiful location but in poor condition with relatively few modern amenities. 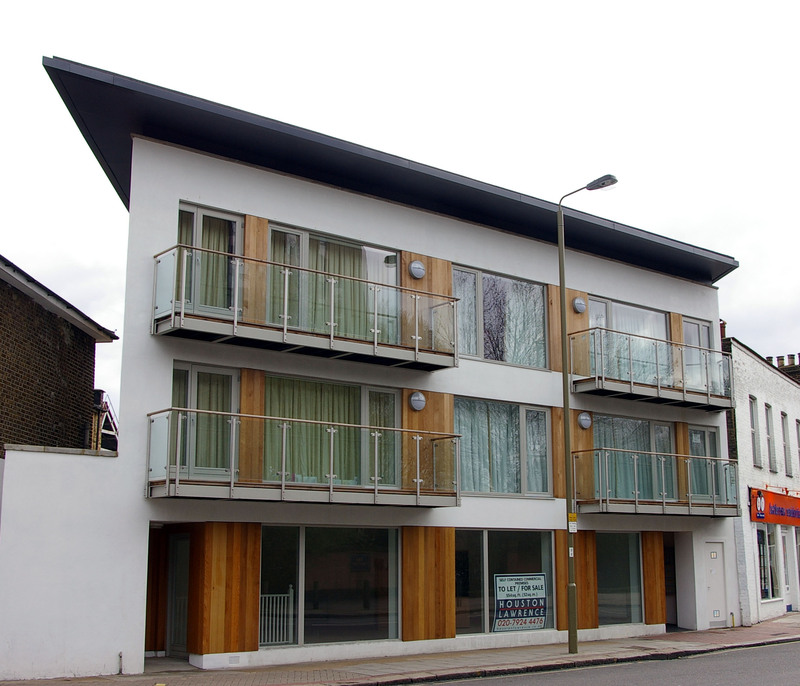 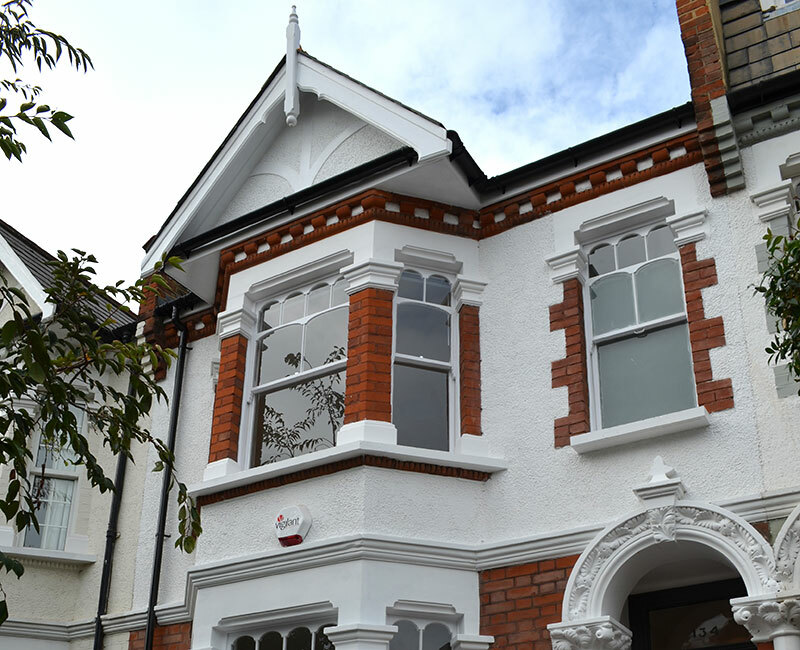 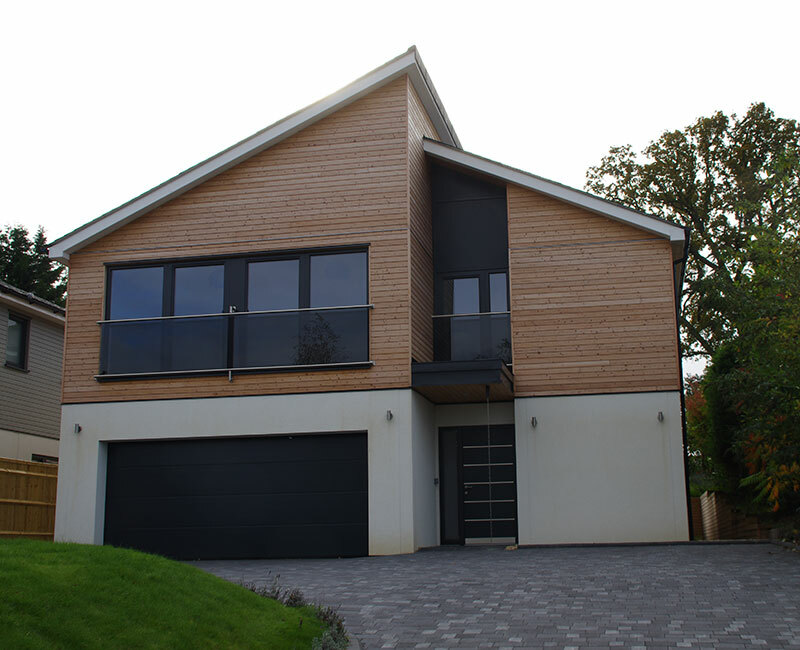 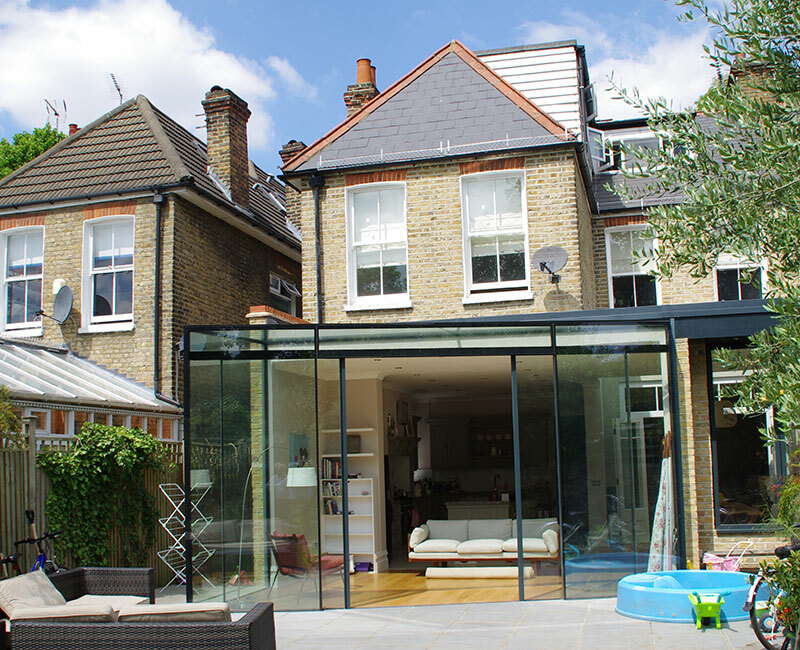 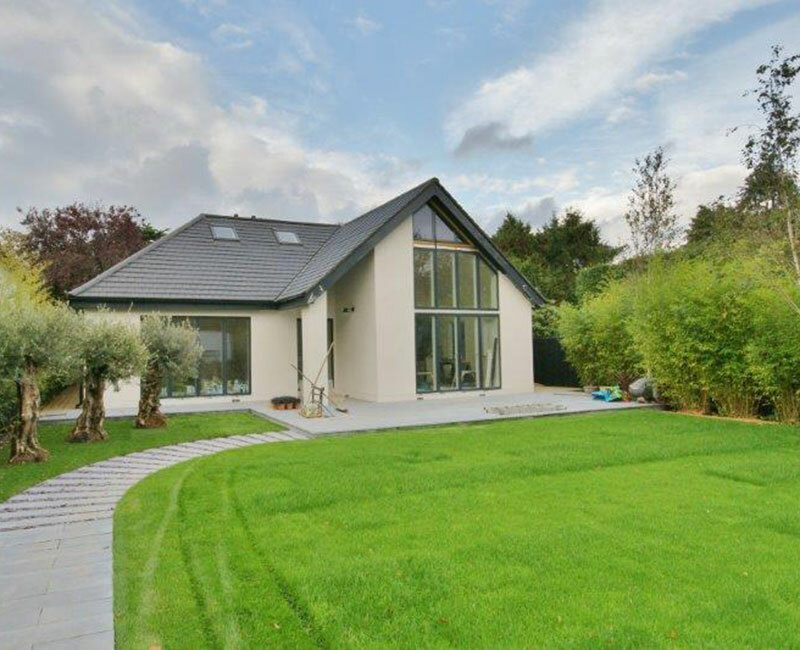 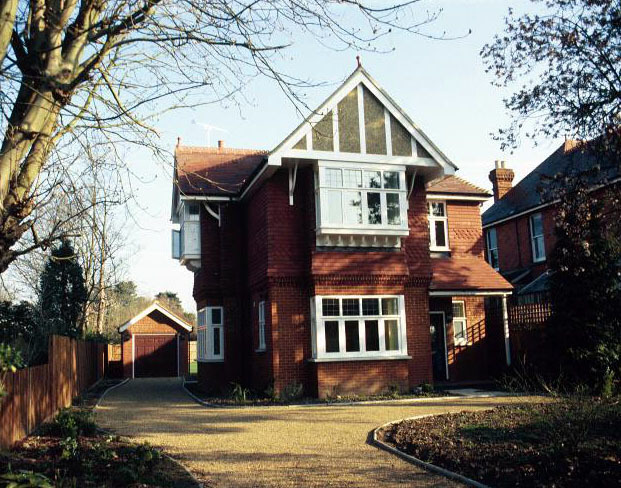 The client wished to extend and refurbish the house in a completely sympathetic style. 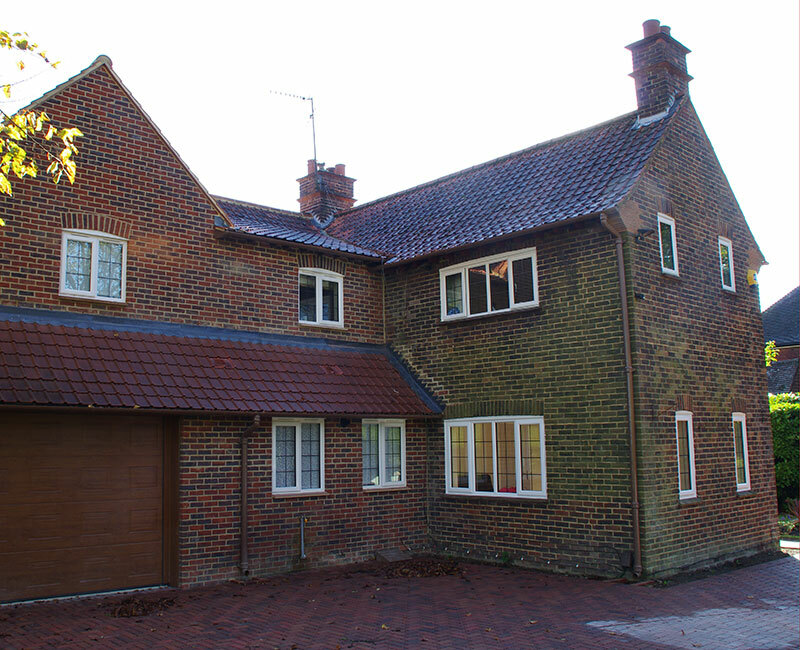 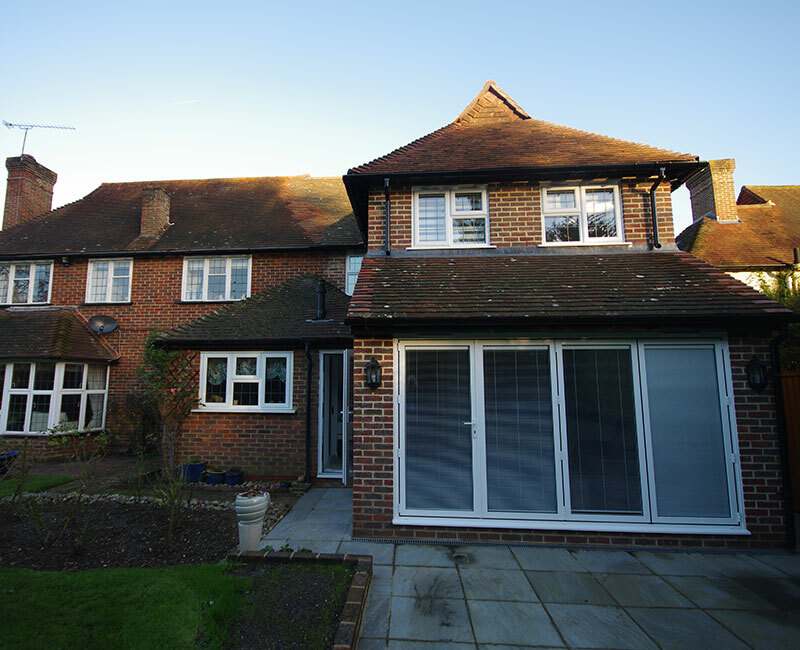 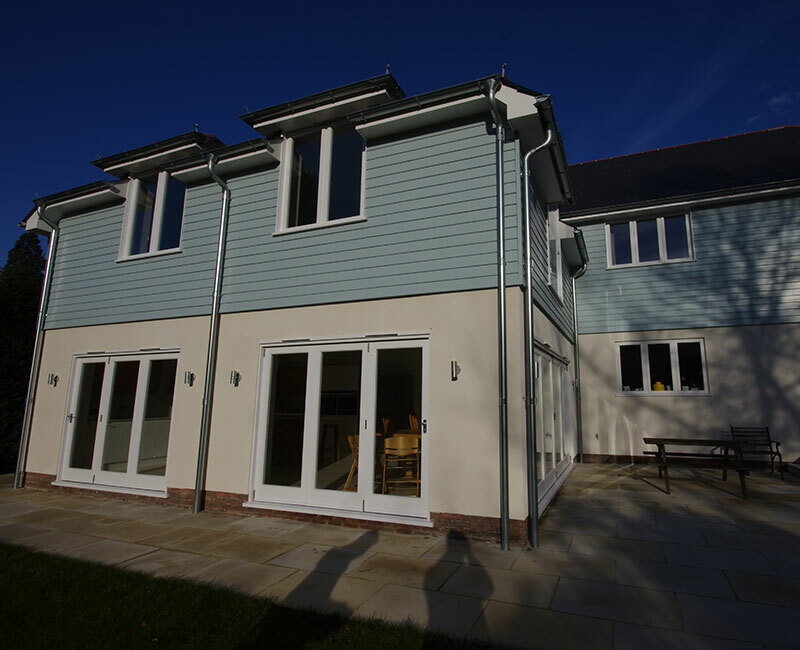 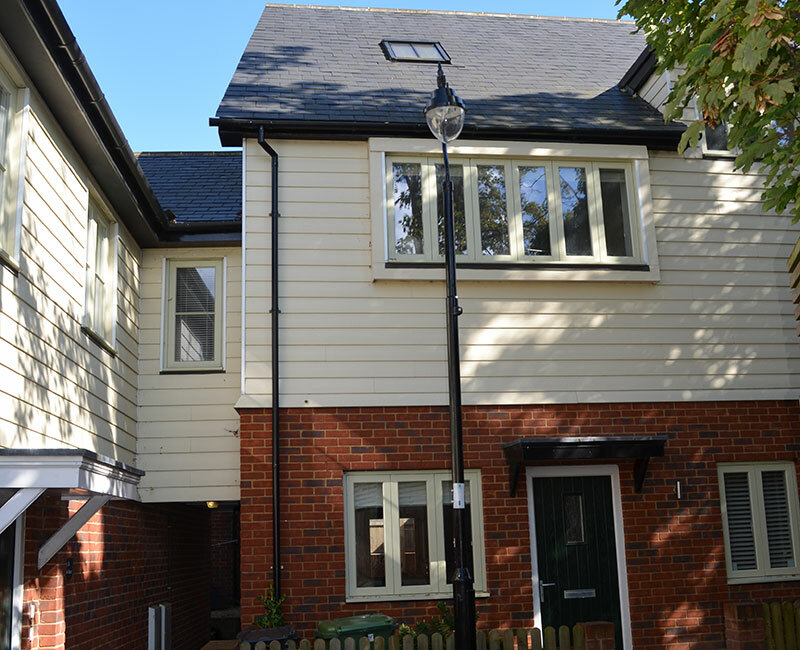 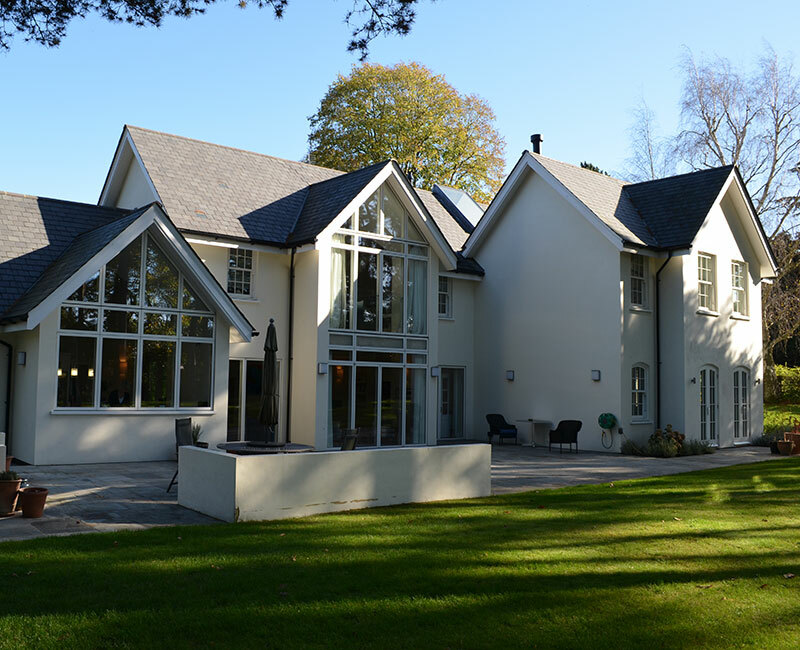 The extensions were in a number of locations around the house and as this had almost completely differing elevations from brickwork to tile hanging to painted render these all had to match as far as possible. 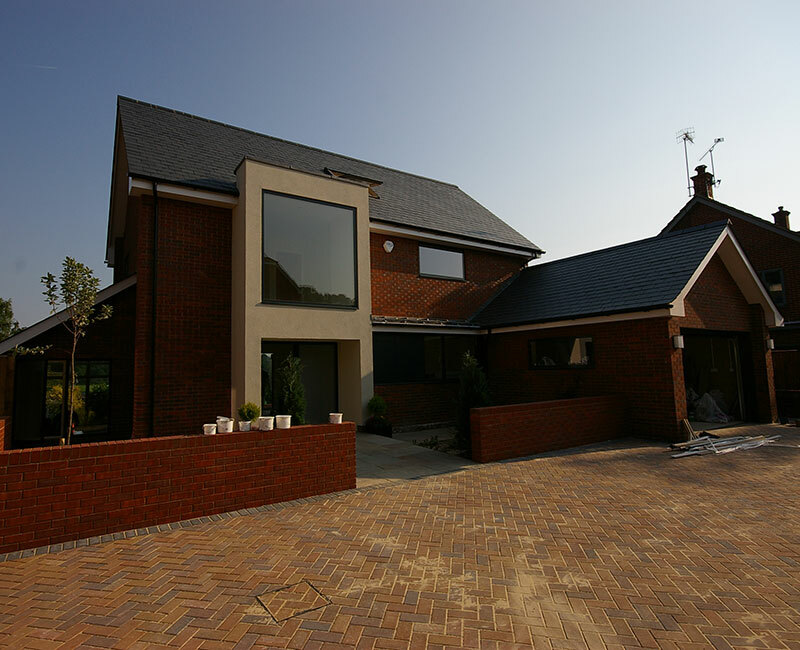 The principal elevation facing the North Downs was faced in a brick which matched almost perfectly and will certainly weather to be the same whilst the other elevations were a variety of styles and materials but in a number of locations finished with a new balcony faced in oak handrails which had the benefit of both improving the appearance of the house but also unifying the elevations.